Varicose veins are caused by weakened vein walls and faulty valves. When vein walls become weak, they allow recirculating blood that is supposed to move toward the heart to flow backward. 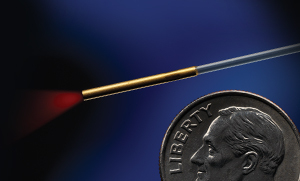 The one-way valves that let blood flow upward can also stop working. This is what can cause varicose vein pain. But if you're near Belleville, IL, we can help. Memorial Heart and Vascular Center offers an innovative, in-office varicose veins treatment: endovenous ablation. The VenaCure EVLT™ laser vein treatment is an endovenous ablation procedure that uses a thin fiber and light energy to seal varicose veins at the source to eliminate varicose veins pain and improve the appearance of legs. The procedure takes less than an hour and is 95% effective. 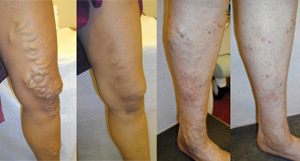 Sclerotherapy is used for the treatment of spider veins. Spider veins are tiny, dilated blood vessels that lay just below the surface of the skin. 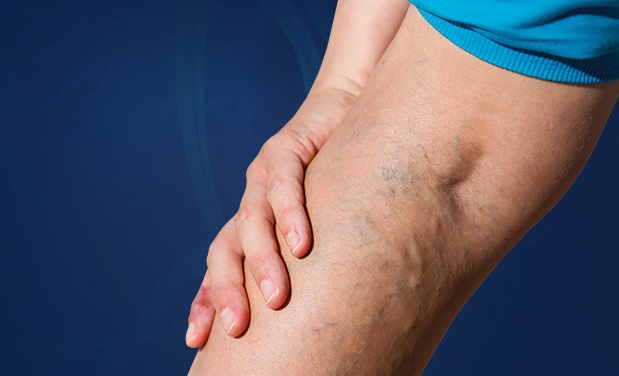 Similar to small to medium-sized varicose veins, spider veins may sometimes result in itching or minor aches but most often are a cosmetic concern. For larger, bulging veins too big to inject with sclerotherapy, microphlebectomies are performed to surgically remove the varicosities through tiny incisions. Help! Why can I see my veins bulging out? When you have varicose or spider veins, blood can pool and pressure can build up, which can cause varicose vein pain because the prominent veins become twisted and enlarged. It's time to stop suffering from varicose and spider vein pain; call (618) 222-1020 or (618) 257-VEIN to schedule an appointment today for treatment.